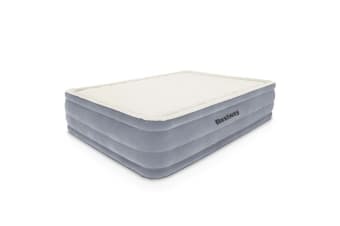 Featuring a comfortable foam top flocked sleeping surface, the queen size air bed provides a smooth and comfy sleep each and every night. 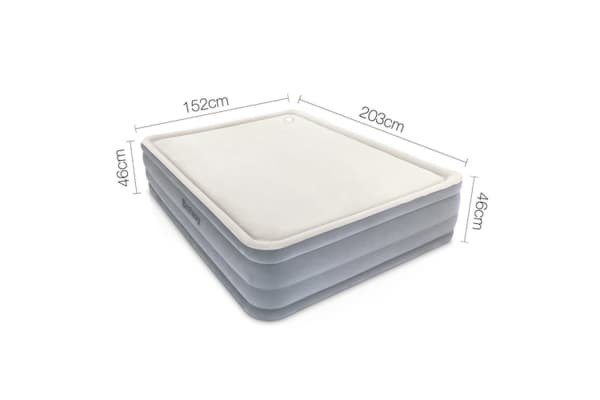 Combined with a sturdy I-beam construction and built-in pump, this quality air bed is suitable for both indoor and outdoor use. Inflates in just 270 seconds! 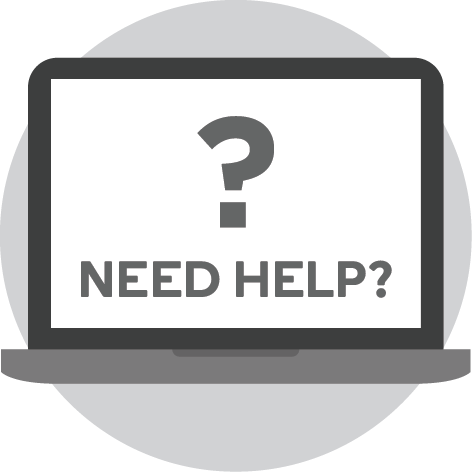 You will have an instant bed ready to go whenever the situation calls for a spare mattress. 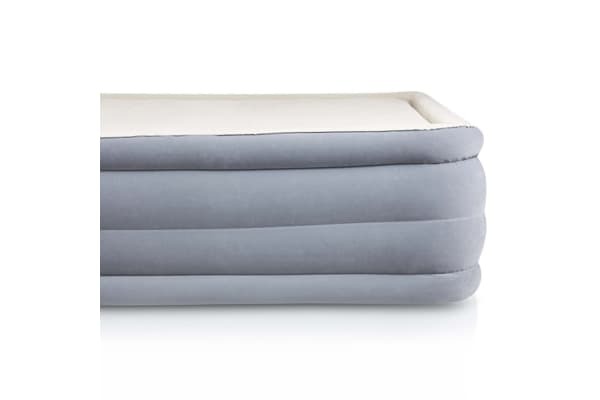 Portable, easy to store and effortless to set up, this convenient air mattress provides the perfect balance of comfort, practicality and affordability.